This is the inspiring story of a canonized contemporary woman. 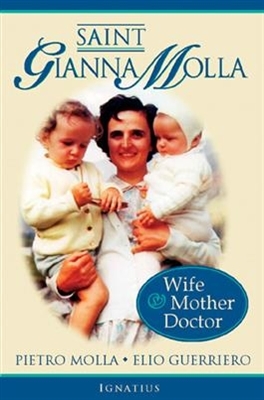 Gianna Molla (1923-1962) risked her life in order to save her unborn child. Diagnosed with uterine tumors during her fourth pregnancy, she refused a hysterectomy that would have aborted the child, and opted for a riskier surgery in an attempt to save the baby. Herself a medical doctor, Molla did give birth to the child, but succumbed to an infection. An Italian woman who loved skiing, playing piano, attending concerts at the Milan Conservatory, Molla was a dedicated physician and devoted wife and mother who lived life to the fullest, yet generously risked death by cancer for the sake of her child.